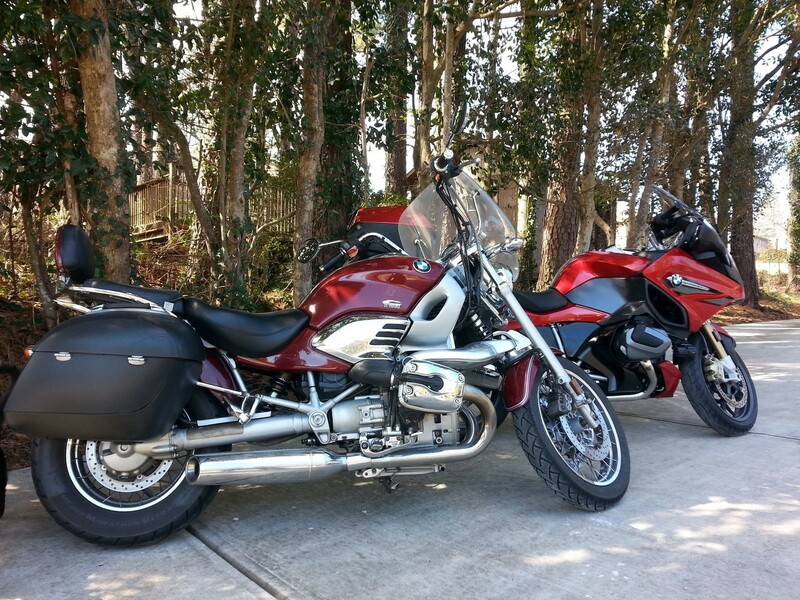 My 2000 R1200C alongside the R1250RT. The C is a Montana edition, which is supposed to have engine guards, but they have been removed years ago. I wanted to get a quick photo with the 2 bikes together, but the C needed to be washed and the chrome is not a shiny as it normally is. It has 113,008 miles on, so I got that going for me, which is nice. Looks great for having 113,000 miles!